Do you often experience pain in the ball of your foot? While it is important to consult with a pro first, chances are, you have a condition called metatarsalgia. It is painful and irritating, which can also make you unproductive in your job. If you are an athlete, your performance can also suffer. The good news is that you do not have to be forever burdened with metatarsalgia. While there are many solutions that can prove to be promising, one that you should not miss is to wear the best shoes for metatarsalgia, including those that are briefly mentioned below. It is a condition where the ball of the foot suffers from pain and inflammation. This is a forefoot injury that results from overuse. It is common in people who often engage in physical activities, such as jumping and running. While it is not serious, it can be painful. In worst cases, when left untreated, it can cause pain in the other parts of the body, including hips and lower back. Choosing the Best Shoes for Metatarsalgia? Cushioned Footbed: The cushioning is important as it provides the feet with a soft surface to rest, minimizing the pain that is associated with metatarsalgia. Low Heels: If the heels are high, there will be more weight on the metatarsals. This will increase the pressure and will make metatarsalgia worse. It will be good to choose an adjustable heel so that you can customize it based on individual needs. Spacious Toe Box: When the toe box is roomy, weight can be displaced, and the discomfort can extend all the way to the metatarsal joints. Ventilated Design: For added comfort, it will also be good to ensure that there is air circulation. This is why those with mesh construction can be great picks. This is a good shoe if you are looking for orthotic support, especially for people who have flat feet. There is anatomical arch support, although some might find it quite insufficient. It has soft and non-binding upper, which will allow you to walk easily. It also has foam padding in the key pressure points, which will help people with metatarsalgia. The shoe will add spring to cushion and soften your step. This significantly reduces the pressure on the ball of the feet. It is also good that there is a Velcro closure on the top while still having a lacing system. Aside from easily adjusting the fit, it also makes it easy to take on and off. 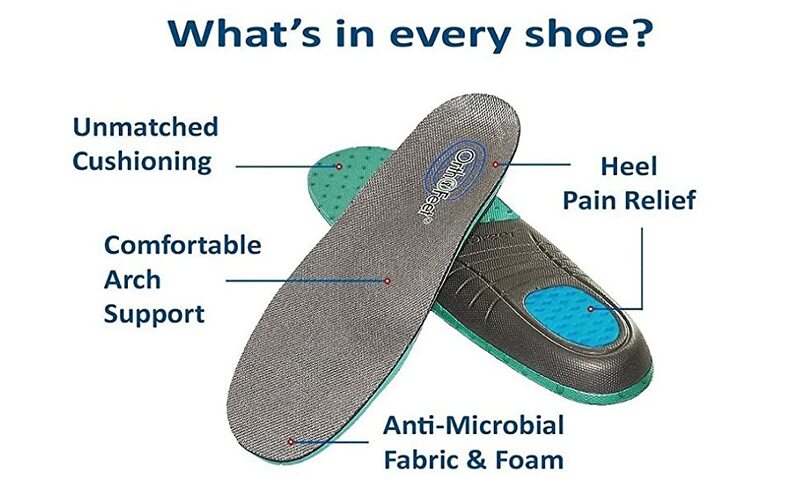 Orthofeet is a brand that is popular for its orthotic shoes that provide cushioning and support that will be great for people who have metatarsalgia. Like the other shoes from Orthofeet that are mentioned in this post, it is equipped with innovative therapeutic features, which will be handy in the reduction of the pressure on the ball of the foot. It has two-way fastening and tie-less lacing system, which will make it easy to ensure the right fit based on the size of your feet. Lastly, it has Ergonomic Stride Easy Gait, which is a lightweight cushioning sole that effectively absorbs impact in every step to provide comfort to the user. If you are looking for lightweight and breathable shoes for metatarsalgia, this should be on your radar. This is a good alternative for athletes. One of the notable features is the protective interior, which is made of a soft and seam-free lining. To make it even more comfortable, it has extra foam padding for the elimination of pressure points. This is inclusive of two sets of removable spacers, which will allow you to customize the fit based on what you find to be most comfortable. If you are looking for a hygienic shoe for metatarsalgia, this is also worth looking at since it has an antimicrobial fabric and foam. This also allows it to minimize foul odor. For people with metatarsalgia, the anatomical arch support of this shoe will be effective in minimizing the pain in the ball of the foot. It makes every step softer because of the cushioning sole, which will ensure your highest level of comfort. If you want customization, you will have another reason to love this shoe. It has a heel strap, which basically means that you can customize the grip on the part that surrounds the heel. This will also be great to minimize the possibility of slipping. The Velcro closure is also a plus, allowing you to personalize how tight or lose it is on the upper part. It does not come with laces, making it easier to put on and take off. For a stylish shoe that does not compromise comfort, this is another option that should be on your radar. 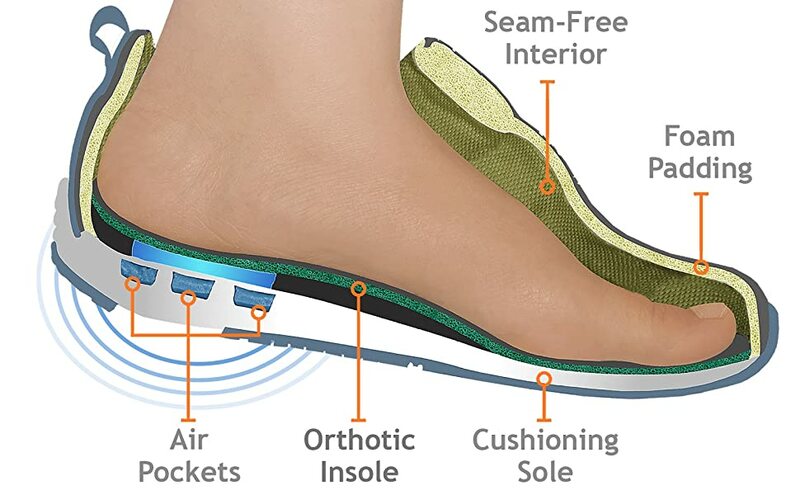 It is the fifth shoe from Orthofeet that is mentioned in this post and it shares common features with the other four that have been mentioned above, including orthotic support, non-binding fit, and seam-free interior lining. If you are looking for shoes for metatarsalgia that you can use outdoors, such as for a trek, this will work. While it is important to note that it is not waterproof, at least, it is splash-proof. If you are one of the many people suffering from metatarsalgia, now is the time to say goodbye to the pain that it causes you! Wear the shoes mentioned above and you will be able to effectively address the problem. From the products briefly reviewed, our personal favorite is the Orthofeet Tahoe Orthopedic Athletic Shoe. It has mesh upper and easily adjustable lacing system to ensure comfort. It has a comfortable padded heel to reduce pain in the metatarsal joints.